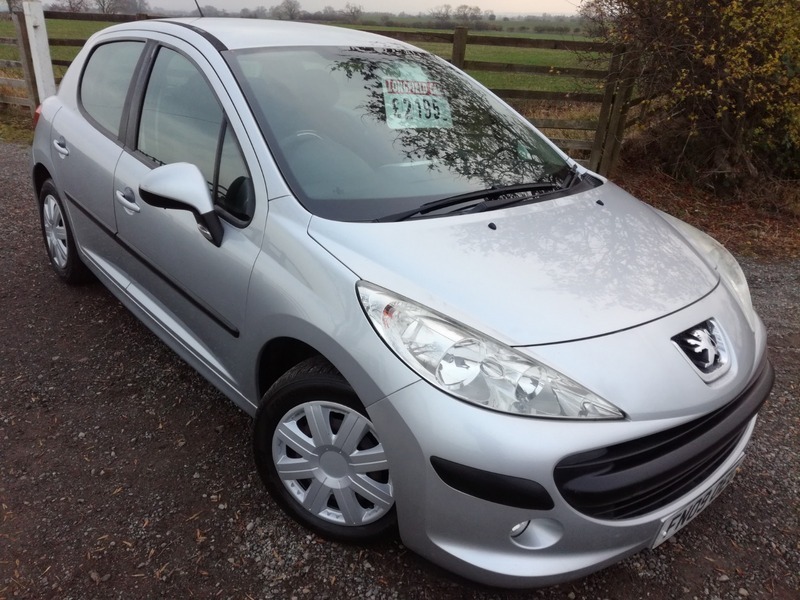 GENUINE LOW MILEAGE EXAMPLE PEUGEOT 207 1.4 HDI. COMES WITH ALL THE USUAL REFINEMENTS, 2 KEYS BOTH WITH REMOTE LOCKING, ON BOARD COMPUTER, FRONT AND REAR HEADRESTS ETC. CHEAP ROAD TAX OF ONLY £30 A YEAR. VERY GOOD MPG. RECENT GEARBOX RECONDITION AND PASSENGER DRIVESHAFT. 12 MONTHS MOT, 6 MONTHS WARRANTY AND 6 SERVICE STAMPS. NOT TO BE MISSED AT THIS PRICE! !..ALL CREDIT/DEBIT CARDS ACCEPTED, PART EXCHANGE WELCOME, CHEAP UK DELIVERY, VIEWING 7 DAYS A WEEK WITH HOURS TO SUIT YOU, ASK FOR FINANCE! !